All studios are bright and clean equipped with kitchenette, cooking facilities, fridge (not stocked), bath or shower and have either terrace or balcony. Air conditioning is available at extra charge. The beautiful Lavrion Studios are located in the Anapypsis areas of Ipsos and its surrounded by beautiful gardens. The property features a large swimming pool complete with a stunning water jets. 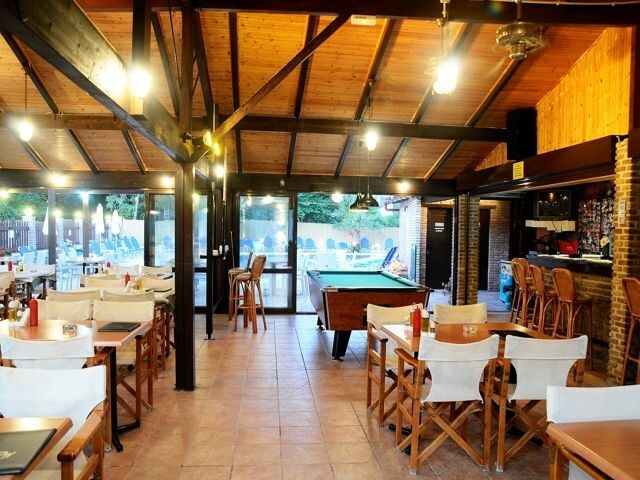 The large pool bar serves drinks and snacks all day and the large restaurant is ideal for lunch or dinner. Occasional entertainment is available and the bar is a famous meeting point. Additional: Safes are available in reception at extra charge. Free WiFi in public areas. Pool table at extra charge.